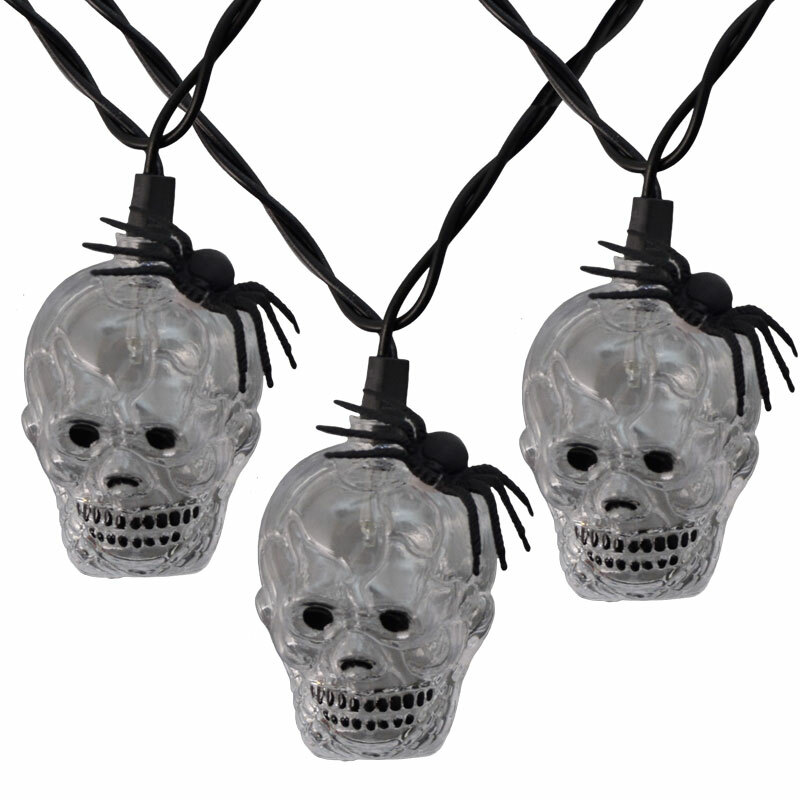 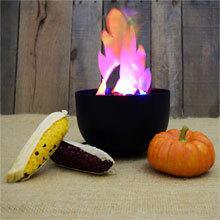 The clear skull with spider lights are the spookiest light set perfect for Halloween decorations. 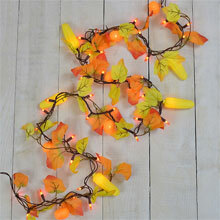 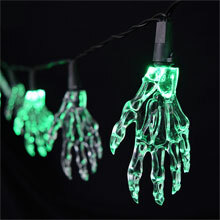 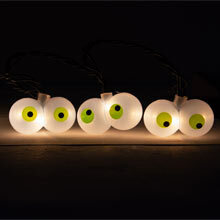 This spooky skull novelty light strand comes with 10 clear mini light bulbs with 10 clear ghost heads. 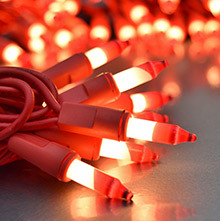 On an 11.5 foot black strand, there are a total of 10 lights with a 30 inch lead wire and 12 inches of spacing between each light. 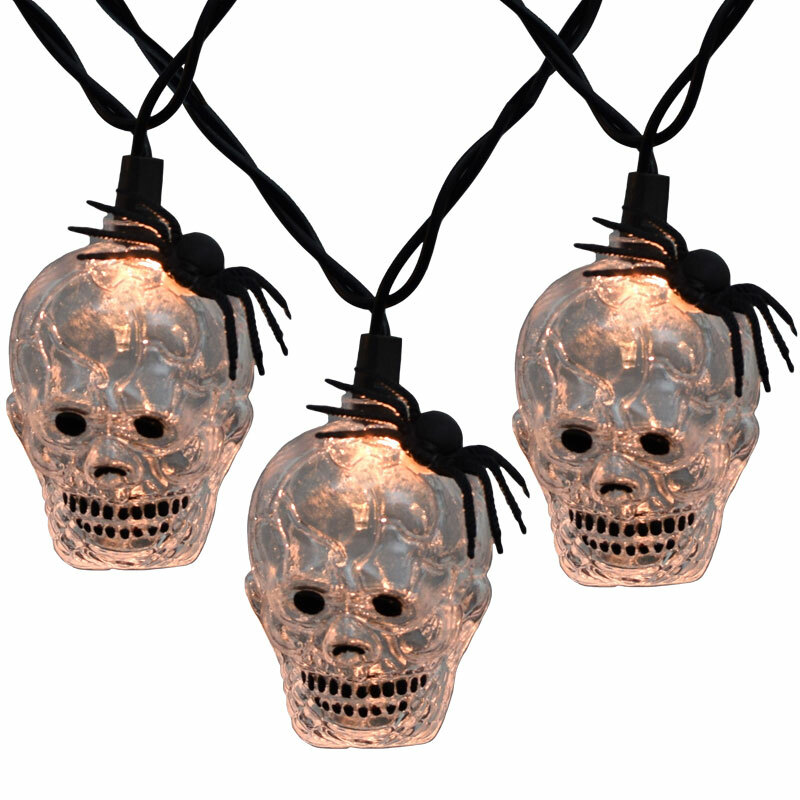 These skull with spider string lights make a cute little addition to your Halloween or fall decor, but also makes as a spooky light decoration for your Haunted house.